Please note that the images you can purchase on this page will not work in the program unless you have a registered copy of version 3.0 or later. If you don't have a registered copy of version 3.0 or later you should first either buy it, or upgrade your earlier version. These are the bells of St. Paul's Church, Maryborough, Queensland. The photography was done in March 2012, three weeks before the bells were removed for restoration with new fittings. 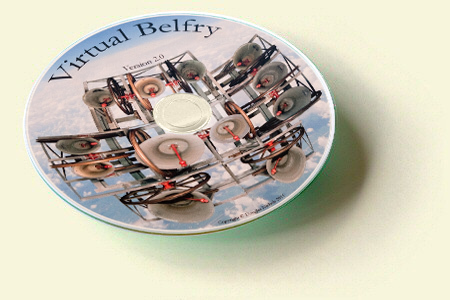 Virtual Belfry has therefore captured these lovely old bells in their original condition. They were retuned when they were restored and both old and new tunings are provided in the program (whether you buy the images or not). 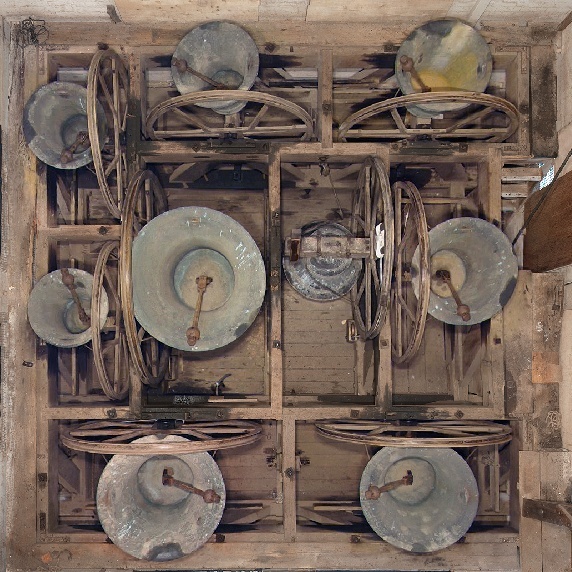 Note: The images for the original eight bells of St. David's Cathedral, Hobart will also be provided when you purchase the Maryborough images. Payments from customers in the UK and Australia can be accepted by direct deposit. Please also send an email to let me know that the payment has been made. To buy using PayPal, use the option below. Pressing the button takes you to the PayPal system where you can complete the transaction, typically using a credit card. After your transaction has been completed you will receive an email (from PayPal) confirming your purchase details, followed (not necessarily immediately) by an email from the author acknowledging your order. Shortly after that you will receive a further email telling you the URL for the setup file that you need to download. The transaction will be made in pounds sterling. If you use a non-UK credit card the details of the currency conversion that will be applied to make the purchase are made clear to you on the PayPal site.